President Donald Trump signed the Music Modernization Act into law in October 2018, after it unanimously passed through both houses of Congress. Labels, musicians and politicians all celebrated this update to copyright law. While no law arrives entirely without naysayers, by Washington standards, the Music Modernization Act is as close to a universal hit as lawmakers are likely to see. The 185-page legislation combined three previously introduced bills to achieve several complementary goals. It simplifies the music licensing process, with a particular focus on making it easier for rights holders to get paid when their music is streamed. It also ensures that songwriters and artists will receive proper royalties for songs recorded prior to 1972. And it improves the royalty payout process for producers and engineers whose work is streamed digitally. I will go into more detail about each of these changes, but the major question artists and songwriters are likely asking is whether this law is good news. On balance, it seems likely that it will be, though like everything else about the U.S. copyright system, the details will be complicated. If it works as designed, this system should make it easier for rights holders to get the full royalties they are owed, paid promptly. The first major change under this new law is the creation of a single, mechanical licensing database. Music publishers and songwriters will oversee the system, but its costs will be borne by digital streaming services like Spotify. The music licensing collective’s board of directors will include 10 representatives from music publishers and four self-published songwriters, as well as three nonvoting advisers, one of whom will represent the streaming services. One reason that music publishers, labels, streaming services and consumer groups all enthusiastically backed the Music Modernization Act is that the situation prior to its passage was a huge mess for everyone involved. Services such as Apple Music and Spotify, up until now, have been responsible for identifying all the rights holders for each individual song in their massive catalogs. As Meredith Rose told The Verge in an October 2018 interview, streaming services historically had two options: go slowly in order to license each song individually, creating a very spotty catalog of offerings, or go fast and set aside a slush fund with the understanding that you were likely to get sued despite your best efforts at compliance due to the complexity of the licensing process. A quick primer on music licensing may help explain a little of this complexity. Every song has two copyrights: one that covers the musical composition and lyrics, and another that covers the particular recording. A mechanical license covers the former, and every type of platform pays a flat fee for it. Performance licenses, which cover the particular recordings, vary widely in price and details. Services where listeners can’t pick the next song, such as Pandora, can pay for a compulsory license the way that terrestrial radio stations do; this lets them pay a single, blanket fee to both performers and songwriters for every song. But user-controlled interactive streaming services do not have that option. Before the Music Modernization Act, there was no entity allowed to issue a blanket license to companies that wanted one. That was largely because no one database tracked royalty information. Instead, individual publishers, labels and artists were responsible for tracking down the royalties they were owed. Some songs have been misattributed, meaning the wrong person got paid; others were not assigned to anyone, so no one got paid. Previously, streaming platforms that lacked the data to pay rights holders issued Notices of Intent, often abbreviated NOI, to the U.S. Copyright office. These notices indicated that the service had tracked a mechanical royalty, but could not identify its owner. This process was meant to shield them from liability, but the problem of missing rights information was so persistent that the Copyright office was buried in them; the office received more than 50 million by the end of 2017, according to Billboard. The Music Modernization Act creates a new legal process for handling unclaimed royalties connected to mechanical licensing. Now the music licensing collective will keep track of rights holders, creating and maintaining a public database of song ownership information. Songwriters will be able to quickly identify instances where they did not receive proper attribution, and services will be able to avoid lawsuits stemming from identifying rights holders for a song incorrectly. Services that want a blanket license will now rely on the database to make sure all the right people get paid. The new system both creates transparency for artists and removes liability for music services. In addition, the law changes how the copyright royalty board sets royalty rates for services licensing music to stream. 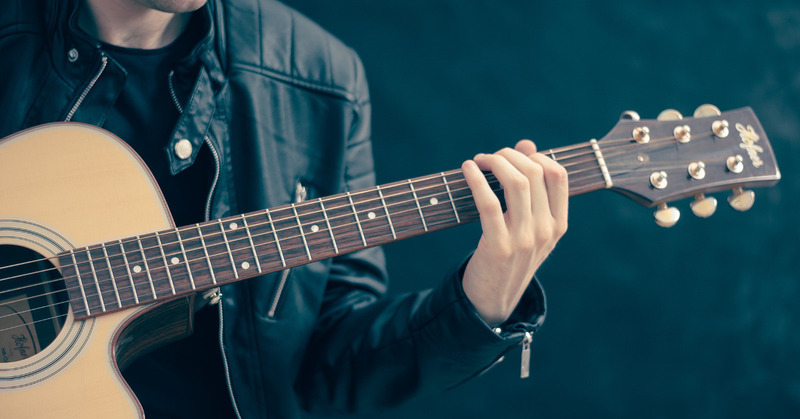 Prior to this legislation, the law forbade federal rate courts from considering sound recording royalty rates as a relevant factor in determining the rates for public performance royalties. Now rights holders will be able to present evidence, including rates for other services within the recording industry, in the pursuit of fairer royalty rates. It also changes the way royalty disputes will be decided. The American Society of Composers, Authors and Publishers (ASCAP) and Broadcast Music, Inc. (BMI) serve as the two leading “performing rights organizations” in the U.S., which means they are party to nearly all royalty rate disputes for the music industry. Formerly, each organization was assigned one judge from the Southern District of New York, who adjudicated all rate dispute cases for the organization. Under the new law, a group of judges from that district will consider these cases in rotation. This new system is intended to provide a situation in which judges evaluate each case on its own merits, rather than based on cumulative impressions from other cases. While the new process for handling streaming royalties understandably made the most headlines, the other two components of this law are also important, if less far-reaching. Recordings made prior to 1972 were formerly not protected under federal copyright law, but instead a patchwork of state-level laws. Artists who made these recordings largely received royalties, if at all, according to whatever terms their contracts had dictated – and, understandably, none of these contracts included language about digital or streaming rights. The new law specifies that 50 percent of streaming royalties for pre-1972 recordings will go to the label, and 50 percent will go to the artists. The final piece established a legal procedure for producers and engineers to collect royalties when satellite or online radio stations play their recordings. Their right to royalties is not new, but previously it was sometimes hard to collect. The new process looks similar to that already used by SoundExchange, the organization that collects and distributes digital performance royalties for sound recordings. SoundExchange allows artists who opt in to pay producers and engineers their royalty shares directly. In essence, the law formalizes the existing process to make sure these royalty holders get what they are due. While this law garnered widespread support from artists, labels and publishers, a few individuals and groups have raised concerns. One of the responsibilities of the music licensing collective that will maintain the royalty databases and administer blanket licenses will be to hold unclaimed royalties. The law stipulates that the entity must hold these royalties for at least three years, after which it can distribute them to copyright owners on a market-share basis if they remain unclaimed. Since the system is based on market-share, the largest publishers stand to benefit most from unclaimed royalties even if they don’t own the copyrights to the songs in question. Some opponents of the bill worry that this system would disadvantage smaller industry players, especially as the system pertains to unclaimed mechanical royalties at the time the law takes effect. No one knows exactly how many notice of intent filings are currently on hold at the U.S. Copyright office – other than “a lot” – so there could be a substantial amount of money already in play. It is also unclear whether the collective will stick firmly to the three-year deadline or allow a longer grace period, especially at first. Such uncertainty has made some rights holders nervous. The major opponent to the Music Modernization Act prior to passage was SiriusXM, which argued that the law would subject it to unfair restrictions compared to its terrestrial radio competitors. But due to several changes just prior to Senate approval, including the 50-50 split for artists and labels for pre-1972 recordings, Sirius ultimately reversed its position and stated its support for the legislation. First, I will state that I am not a lawyer, and this legislation is brand-new. This means that your lawyer or business manager will likely have a better sense of what particular facets of this complex law most directly affect your career. However, songwriters, musicians and others who have copyright claims on audio recordings would be wise to take some basic steps to prepare for the changes the Music Modernization Act will implement. If you do not already have a detailed catalog of your work, go ahead and take stock of the recordings you have worked on in the past. To the extent you are able, identify streams for which you have not yet been paid mechanical royalties using statements provided by streaming services or examining stream counts of recordings of your composition in the music service where they have streamed and comparing them with your payments. The music licensing collective will not arrive overnight; the parties involved will need to agree on board members and draft regulations, not to mention the work involved in actually creating the database. The more detail you can track down in advance, the easier it will be to check your information once the database is live and ensure you receive proper credit for your work. If it functions as designed, the database will make correcting errors and filling in missing information much easier than it currently is, and it will pay to be ready to make the most of it. Publishers and songwriters must register with the music licensing collective somehow, but it is not yet clear what this process will look like or how much individual artists will need to do to ensure their rights are protected. It is wise to keep an eye on this process as it unfolds and comply with any requirements promptly as they arise. Digital streaming services and copyright owners have nine months to reach an agreement on the specifics of how to fund the collective for its first two years. The collective must begin operations by Jan. 1, 2021, which is when blanket licenses also take effect. Between now and then, anyone with a stake in recorded music should make an effort to prepare to make the most of a system better designed to make sure everyone gets their due.